Pabrai family is the second largest investor. Dhandho’s cash surplus and backing will allow Stone Trust Insurance to grow without capital constraints. 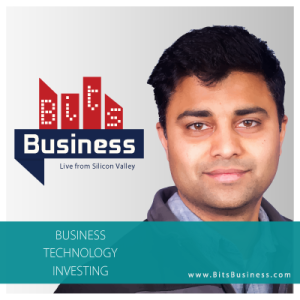 Listen to my interview with Preston Pysh and Stig Brodersen on “theinvestorspodcast.com” on Mohnish Pabrai and the 2014 annual meeting. (Q) Why did you invest in Chesapeake Energy and what were your reasons to exit ? Historically based on an energy equivalent basis, crude oil and natural gas prices should have a 6 to 1 ratio. However in the recent years the price of oil typically had traded 8-12x that of natural gas due to a combination of rising domestic production from unconventional shale gas and regulation of natural gas export from U.S depressing price levels and fear premium for the global crude oil prices. Chesapeake Energy was going through a change in management with the appointment of Doug Lawler as CEO and election of Carl Icon and Lou Simpson to the board. Doug Lawler had started to bring spending discipline and focus the company on it’s core business. In the long run Natural Gas will do better and there is a high probability that 6:1 ratio between crude oil prices and natural gas are restored. Though I still believe in the long term prospects for Natural Gan and Chesapeake Energy, It did not meet all my expectations. When I found a better opportunity to invest capital, I decided to exit Chesapeake Energy. (Q) Are Dividends an important part of your investment decisions ? (Q) Why change of heart on India ? Note : This question was in relation to Mohnish’s recent investments in India, which had avoided thus far. I had stayed away from India as most of the companies tend to be family owned and lots of them have governance issues and hence we didn’t prefer to invest in family controlled businesses.However, we found few opportunities this year, which fit our criteria. One of them is The South Indian Bank. Posco has strong support of the South Korean government. (Q) How has your process of investment selection changed over time ? Over time i have realized it’s better to be a cloner than to think of original investment ideas. Using a checklist before making an investment keeps me safe from biases and overconfidence. (Q) Have you changed your philosophy of portfolio allocation from diversification to concentration over time ? My approach or philosophy depends on the availability of investment opportunities. in 2008-09 there were many opportunities and one could have a diversified portfolio with less than 2-3% allocated to each investment. In the current environment it’s hard to find many opportunities and hence I have changed my allocation to be lean towards concentration. (Q) How do you know if an investment is within your circle of competence and how far to the edge are you willing to go ? If a business is in your circle of competence, you should be able to think like the owner or CEO of the business, which would mean you are able to identify the key metrics or factors that really makes or breaks a business. I try to stay towards the center of my circle of competence and would rather not test the edges. (Q) How do you read annual reports of tech companies like Google ? I had read the S1 document which Larry Page had written about his vision for Google. It’s important to read the management discussions in the annual reports over the years to get the big picture and understand how the management has executed on it’s vision. Summarize your investment thesis in a single paragraph and monitor it. If you can’t do that then you can’t own the stock. Do not read the annual report blindly and read it by asking questions. Based on your research you should be able to extrapolate the range of outcomes for a business in the future. (Q) Recommended Books / Publications on Insurance ? (Q) What kind of companies will Dhandho invest in ? (Q) What is the difference between investing in public markets and investing in private companies ( i.e. Negotiated Vs Non-Negotiated ) ? In private markets you pay up for a quality business run by quality management, however private acquisitions can be highly profitable in the long term if the acquirer can add value to the earning power or moat of the acquired business. (Q) How do you intend to setup right incentives at the Stone Trust Insurance ? Tim (Timothy W. Dietrich) is a great partner to have and will continue to lead Stone Trust. He works hard to be over reserved and profitable on underwriting. He need not work for a living, however he is passionate about his work and Stone Trust. I proposed a compensation to include 10% of under writing profits and it took him less than few seconds to agree. To conclude my philosophy about compensation is that “Humans work for a cause and something they believe in and not just for the love of money”. (Q) Will Pabrai Funds buy shares of Dhandho when it goes public ? When I invest capital for Pabrai funds, Dhandho Holdings will be one among the many opportunities available at that time. The decision to buy Dhandho will be based on the price and its valuation at that time. Hari, exceptional post. Sorry I couldn’t make it with you. He really sounds like an up and rising star that’s going to be a key player in the future. Fantastic answers. Did he say anything about how he thought this low interest rate environment might play out? I mean it’s a horrible time right now because both the equity and bond market has no deals. Yeah I completely agree. Very interesting guy! Thank you for your great notes Hari! I can’t wait to see what is happening with the IPO in 2015. The research I have made so far about Mr. Pabrai has turned out very positive. Though I am by definition very cautious about IPO, this is one I would follow closely. Thank you for posting Meeting Notes it. I posted the link at CofBand F message board. Hari- thanks for sharing. In previous years, Mohnish has posted transcripts of his annual meetings on pabraifunds.com. Do you know why he hasn’t posted the transcript this year? Do you know when Danho Holding might go IPO this year? What month, and which exchange? Did you attend the Pabrai Annual Meeting this pass weekend? If so will you be writing another summary of what was presented? I look forward to reading anything you have to share.